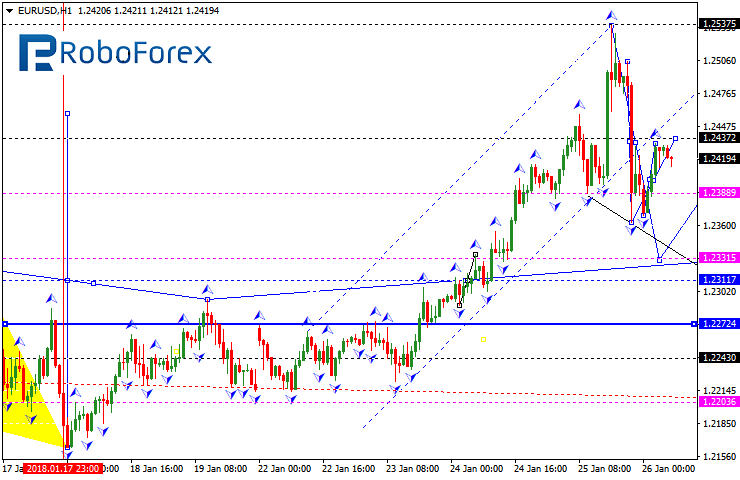 The EUR/USD pair has formed two descending impulses and right now is being corrected towards 1.2472. Later, in our opinion, the market may form another descending impulse to reach 1.2332. in fact, the price is forming the first correctional wave. 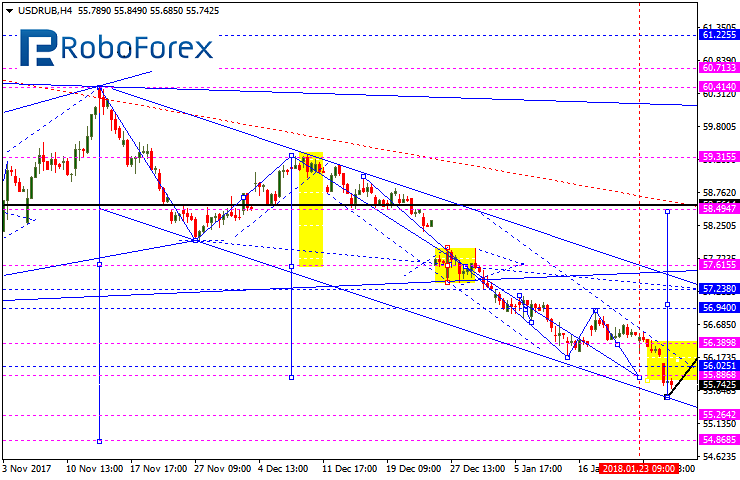 The GBP/USD pair has completed the first descending wave and right now is being corrected. 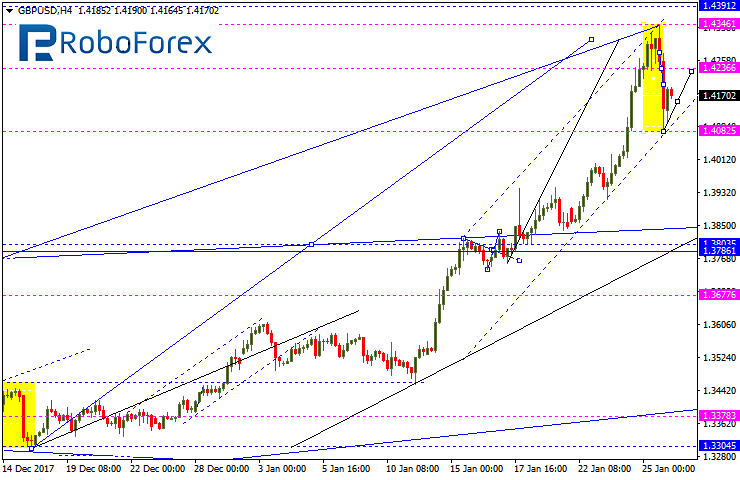 Possibly, the price may reach 1.4236 and then start another descending wave to break 1.4080. The local target is at 1.3915. 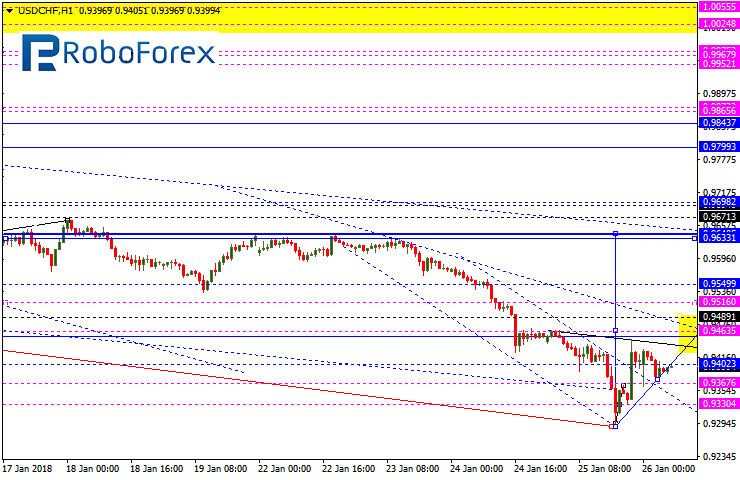 The USD/CHF pair has formed two ascending impulses and right now is being corrected with the target at 0.9330. After that, the instrument may form another ascending impulse towards the first target at 0.9465. in fact, the price is starting a new correction to reach 0.9633. The USD/JPY pair has expanded the range downwards and then reached its upside border. 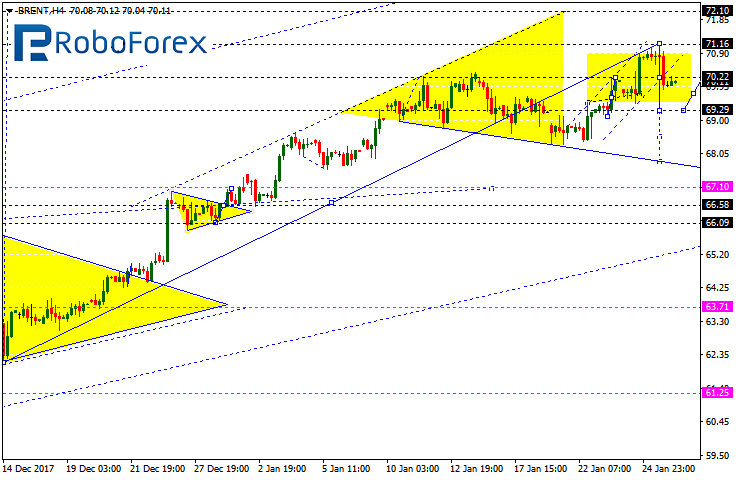 We think, today the price may test 109.07 and then grow to break the upside border. The market is expected to start another correction with the target at 111.44. The AUD/USD pair has formed two descending impulses along with the correction. 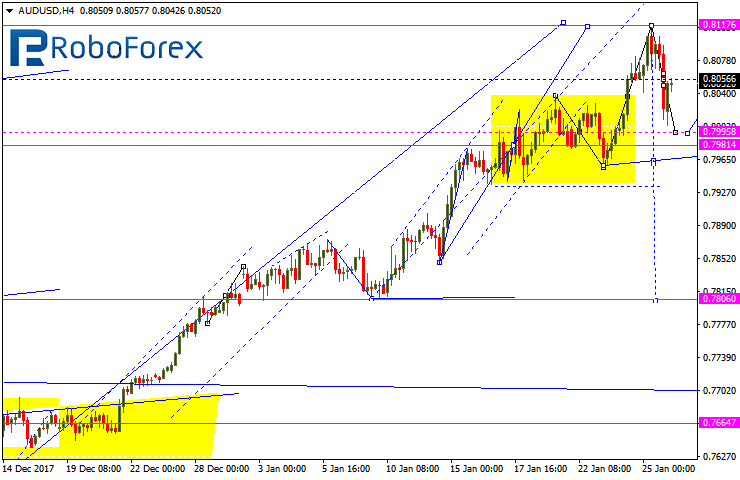 Possibly, the price may form another impulse with the target at 0.7998. In fact, the instrument may transform the first wave into a correction. The target is at 0.7800 (at least). The USD/RUB pair has reached the local target of the descending wave. Possibly, today the price may consolidate near the current lows. If later the instrument breaks this range to the downside, the market may reach 55.25; if to the upside – start another correction towards 57.25 (at least). Gold has formed two descending impulses and right now is being corrected. 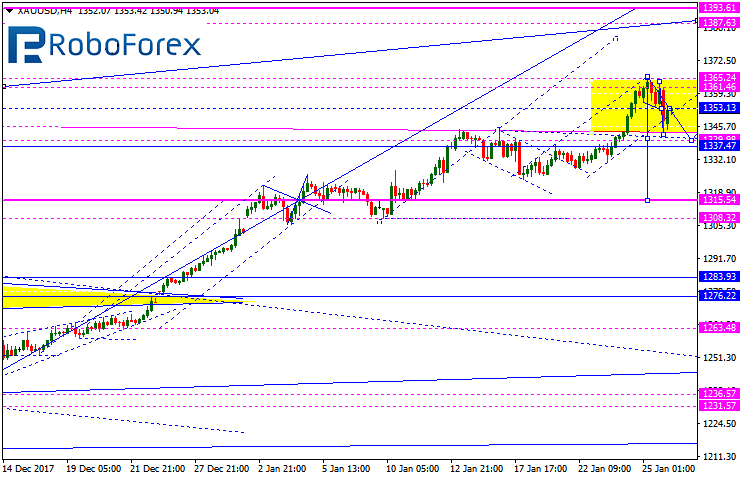 We think, today the price may form the third impulse with the target at 1340.00. In fact, the instrument may transform the first wave into a correction. 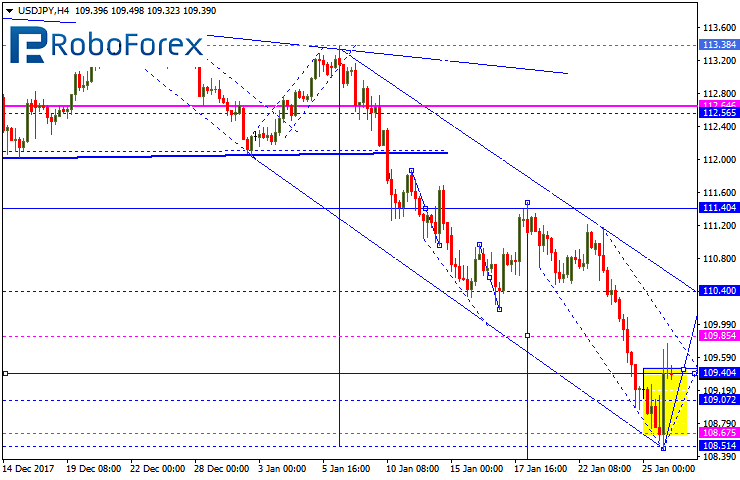 The main target of this correction is at 1315.00. Brent has finished another descending impulse. Possibly, today the price may grow towards 70.35 and then start another descending structure to reach the first target at 69.60. The market is expected to start a new correction towards 67.00.